What does it take to get into the Top 10 Hotel Management colleges in India? If one enjoys working with people, if you are creative, have a pleasing personality, and like meeting new people, you have a good chance of being selected in any of the Top Hotel Management Colleges in India. The hotel industry is very demanding on one’s time & thus candidates choosing this line must be willing to put in long hours. With the backing of Taj Group and the added accreditation from the University of Huddersfield, it is undoubtedly among the top three colleges in India. The school offers 4 Year BA in Hotel Management and a 4 Year BA in Culinary Arts. By being the first college in India to offer a degree in hospitality (hotel management) and continuing to rank first in all national level rankings of Indian hotel management institutions, WGSHA is the most sought-after college for hotel management aspirants. No list of Top 10 Hotel Management colleges in India will be complete without the mention of this Institution. One can qualify for IHM, Pusa by clearing the NCHMCT’s JEE exams which are usually held in April. This college ranked as the Best Institute of Hotel Management in the country for six times in a row by Ministry of Tourism, Government of India. The Institute offers a 3 Year B.Sc. Hospitality & Hotel Administration Program. This department of deemed to be University is known for India’s best chef competition that they conduct every year at all India level. The college has exceptional industry connect which reflects in the placements that Christ University achieves. The main program offered by Christ University is the 4 Year Bachelor of Hotel Management. This young institute from Vadodara offers a unique 3 Year Dual Certification Program. JSHM is the only institute in India to be accredited to Cesar Ritz Colleges, Switzerland. This School is the first in India to offer HOTS simulation in its curriculum and is excellent for students who are looking to be entrepreneurs. One needs to rank among the top 500 in JEE to qualify for this school. The programs offered here are same as the other NCHMCT colleges. IHM, Mumbai is as good as IHM Pusa and boasts of the most experienced faculty members. However, hostel facilities do not compare to IHM, Pusa. SRM Institute has a tie-up with international universities from the U.S.A, Canada, Malaysia & Korea. You can choose between two different degree programs offered by this institute. The campus is vast, and the combined intake for all the hospitality programs is more than 1000 students every year. BCIHMCT runs 4 Year BHMCT program under the affiliation of Guru Gobind Singh Indraprastha University. This Institute is the first hotel Management Institute in India to be duly Recognized by NAAC.BCIHMCT's Claim to fame is the seven successive years of top 10 ranking by Outlook MRDA. Impressive infrastructure and value-added curriculum are the USPs of NSHM. The Institute is known the intensive training that it provides and its efforts towards international placements. NSHM offers options for 4 years & 3-year degree programs in hotel management. These are currently the top 10 Hotel management colleges in India that one must strive to get into to kick start your career in Hospitality. 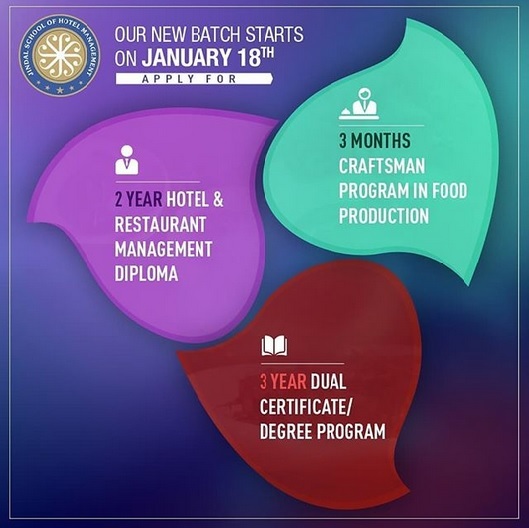 If you are searching for an excellent private college, you should visit jshm.co.in which offers a unique dual certification program.